New developments in Tanzania’s remarkable exposure of corruption and the battle against it have continued to stand head and shoulders above other news from Tanzania during the last few months. The government has promised to continue investigating allegations of fraud and other forms of crime involving huge contracts. Prime Minister Mizengo Pinda said the focus would be on such contracts because they were the ones where poor performance and foul play usually resulted in mismanagement or misappropriation of massive amounts of public funds. 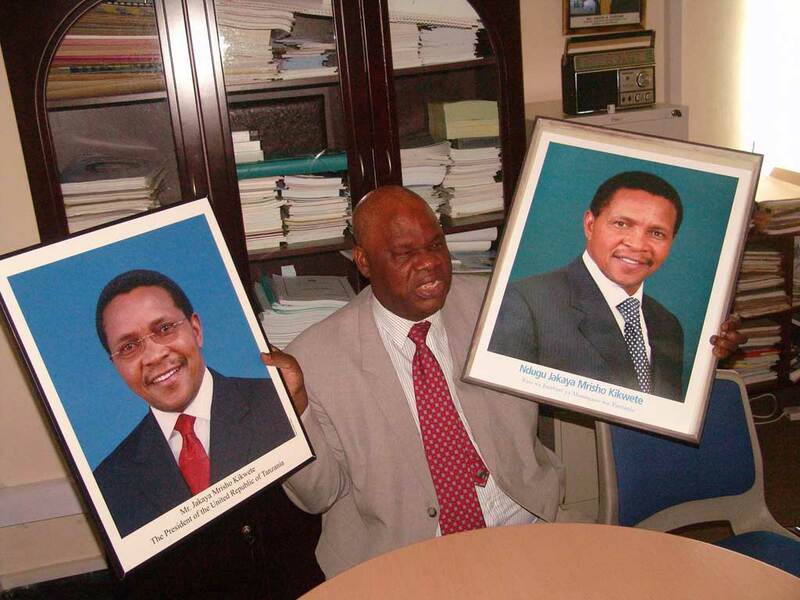 According to Rai Mwema some 25 staff members of the National Insurance Corporation (NIC) wrote a 77-page letter to Prime Minister Pinda on 30 March requesting him to cleanse their firm of massive corruption. They said the management was colluding with lawyers to forge documents and pocketing millions. Rai reported that sources were saying that the PM had received the letter and it was being dealt with. Two issues have dominated debate in Zanzibar during the last few months – what is the precise status of Zanzibar in its relationship with the mainland and is President Kikwete going to intervene in the impasse reached between the two main parties – the ruling CCM party and the opposition Civic United Front (CUF) – on a possible power sharing government? The opposition thought that this matter had been agreed in principle after lengthy discussions between the parties. However, at the last minute the CCM in Zanzibar had insisted that, before such an agreement (Muafaka) could be put into effect, there had to be a referendum of the people. CUF was totally opposed to this idea. CHANGE IN THE MINING INDUSTRY ? Changes are afoot in the Tanzanian mining industry. Or are they? Speculation continues to mount as to President Kikwete’s eventual response to the major review of mining contracts now in his hands. 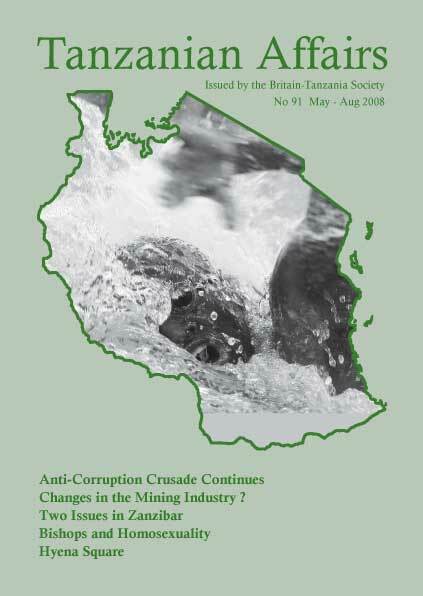 The review – begun in November 2007 – sought to examine deals constructed between the Tanzanian government and international investors in the industry, and to recommend the means to ensure a ‘win-win’ return for all parties from the country’s natural resources. Former Attorney General Judge Mark Bomani, who chaired the review, has had plenty of evidence to consider during the review process, especially following the recent publication of a critical report on the gold industry by a consortium of domestic and international NGOs. ‘A Golden Opportunity?’ alleges that Tanzania has suffered staggering losses in revenue through a lack of transparency in the industry, and inadequate legislation on mining revenue. At the same time, noises from within the industry suggest that international investors are ‘not worried’ about the review process. According to Tanzanian Royalty CEO Jim Sinclair, ‘President Kikwete…will do nothing to disturb the balanced fiscal policies that have produced enormous growth in Tanzania’s economic base, most of it fuelled by international investors’. As explained earlier in TA the High Court has supported the case that private candidates should be allowed to stand for parliament. The government has always been against this and appealed against the decision but has now lost in court again. Opinion in the ruling CCM is reported to be divided. Some MP’s said that the verdict ought to be welcomed by the party’s leaders, as had been done by Party Vice-President Pius Msekwa. One reason given for a measure to accept private candidates was that it would do away with internal party squabbles during the nomination process, prior to elections. A former CCM Regional Commissioner said it would trim the power of the party chairpersons who sometimes behaved like gods. 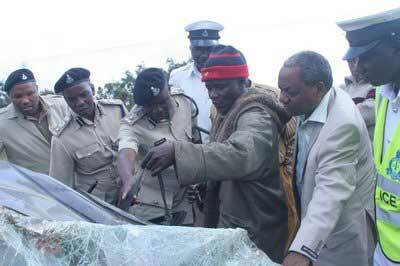 Speaker Samuel Sitta said that the issue had been dragging on for too long. All parties should get together and come to a conclusion – Majira. MP for Kigoma North, Zitto Kabwe (CHADEMA) said that he would be tabling a motion in parliament supporting the court verdict to allow private candidates to stand for parliament. – Tanzania Daima. One of Tanzania’s most radical MP’s, who represented Tarime in the National Assembly, Chacha Zakayo Wangwe, died in a road accident near Dodoma on July 21. He had been highly critical of the leadership of his own opposition CHADEMA, as well as the ruling CCM. In fact, according to Tanzania Daima, CHADEMA had sacked him as Deputy Chairman following allegations that he had been engineering divisions within the party and had had misunderstandings with most of the other top leaders. Many people jumped to the conclusion that he might have been ‘removed’ for political reasons. When a delegation of CHADEMA and CCM MP’s flew from Dodoma to Tarime for the funeral they had to return to Dodoma when the family insisted that there must be a second postmortem to clearly establish the cause of his death before the burial. This postmortem was held in Tarime and family members then accepted that the MP had indeed died in an accident and allowed burial arrangements to proceed. licence. Then followed serious, if not sensational questions about the background of the driver which were published in the Daily News just as this issue of TA went to press. An election petition filed by some members of the CCM seeking to unseat Karatu MP and Deputy CHADEMA Chairman Dr. Wilbroad Slaa, who is a strong critic of the government, was thrown out by the High Court on May 15. The three CCM petitioners claimed that the returning officer had hurriedly announced Slaa as the successful candidate without seeing all the ballot boxes and results forms and that the returning officer had refused to allow the CCM candidate to lodge complaints on irregularities. The Judge said the petitioners had failed to prove even a single allegation made against the respondents – Majira. It is usually difficult to discover the results of local elections in Tanzania and, in any case, the ruling CCM party usually wins them without difficulty. However, in Mbeya Rural it is understood that the Civic United Front (CUF) was successful in the most recent elections gaining nine seats against two for CCM. If there were any doubt about the importance of one subject at the Lambeth Conference held in July/August and attended by 650 Anglican bishops from around the world, this was allayed by a glance at the Church of England Newspaper of July 25 while the conference was going on. There were no less than seven articles touching on homosexuality under such headings as ‘Call for gay bishop to resign rocks Lambeth,’ ‘Lambeth legitimacy called into question,’ ‘Tribunal over police action on gay policy,’ ‘a legacy from Newman to Lambeth,’ ‘Tense times behind the scenes…’ Those against ordination of gay priests were quoted as saying that in some places (particularly in Asia and Africa) the church was being ridiculed as ‘the gay church’ and that membership was suffering. Homosexuality was said to be seen by some as a new form of colonialisation which could lead to sexual licence. Tanzania Railways Limited launched an additional passenger train service between Dar es Salaam and Kigoma on 13th July. Officiating at the launch ceremony in Dar es Salaam, Infrastructure permanent secretary Omar Chambo said the new service would go a long way in alleviating transport problems between Dar es Salaam and western Tanzania. The service takes to three the number of weekly journeys between Dar es Salaam and Kigoma, he said, adding that the services were expected to increase to six next month. TRL have ordered 23 coaches from India, which are expected to arrive in the near future. 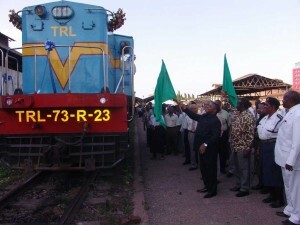 Mr Chambo said the Dar es Salaam-Tanga route had been revived with the relaunch of freight services made possible by the arrival of 25 locomotives. Freight services will also be relaunched between Dar es Salaam and Moshi next month with cement one of the principal cargoes. TRL managing director Narasimhaswami Jayaram said last week that officials from the Tanzania Revenue Authority (TRA) and Surface and Marine Transport Regulatory Authority (Sumatra) were in India inspecting train coaches and engines ordered by the firm. When an MP asked Deputy Minister of Foreign Affairs Seif Ali Khamis why it normally took so long for the AU and other regional bodies to intervene in emerging conflicts and why Tanzania and the AU entertained power-sharing governments in Kenya and Zimbabwe, knowing that sitting presidents in the two countries didn’t actually win the elections, he replied: “I disagree…the AU does not wait for a crisis to happen before intervening…. We normally don’t anticipate political crises in democratic countries governed by the rule of law.” He added that as the AU and other regional bodies had concluded that the Zimbabwe elections, especially the run-off, were not free and fair, they didn’t recognise the declared winner, Robert Mugabe, as the legitimate president. No member country of the AU had so far recognised Mugabe,” he said. On the decision by China and Russia to veto proposed additional sanctions backed by Western countries on Zimbabwe, Prime Minister Pinda told Parliament that their decision had not swayed the African Union (AU) in its position. He added that, right from the beginning, the AU’s stand had been to give Harare a hand so that it could move out of its current political turmoil. He said the decision by China and Russia was made for a good reason because experience showed that economic and weapons embargoes on a poor country like Zimbabwe normally affected the people, not the government. “They did so for a noble reason, and that is to rescue the people of Zimbabwe from further sufferings. I think making the rival parties conduct dialogue is the best solution,” said the Premier. 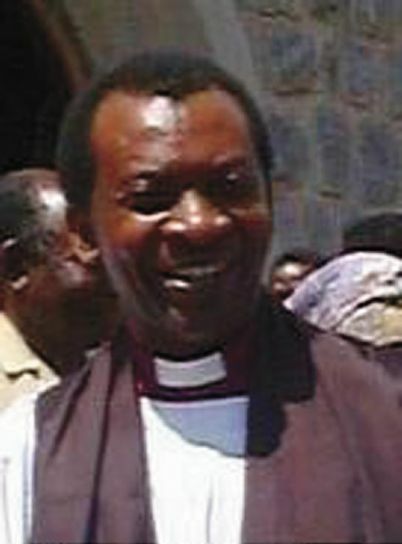 On why the Tanzanian government and other AU member states were involving Mugabe, whom they apparently refused to recognise, in looking for a solution to the political crisis in Zimbabwe, Pinda said that, due to the fact that he was declared the winner and took the oath as president, there was no other option but working with him. “I think the MP has just decided to corner me on the issue of Zimbabwe. The Zimbabwe issue is over. Elections have been held and the President has been installed. What we can do right now is help Mugabe, the opposition and Zimbabweans to work out problems, so that the country gets back to its previous position” – Guardian.